Here are the remaining suggestions from Thomas Watson on how to get the most from reading the Bible (see my last post). Following up on the suggestions, I provide a link that will give you a list of options for reading the bible systematically throughout the year. Remove hindrances. (a) remove the love of every sin (b) remove the distracting concerns of this world, especially covetousness [Matt. 13:22] (c) Don't make jokes with and out of Scripture. Prepare your heart. [1 Sam. 7:3] Do this by: (a) collecting your thoughts (b) purging unclean affections and desires (c) not coming to it rashly or carelessly. Read it with reverence, considering that each line is God speaking directly to you. Read the books of the Bible in order. Get a true understanding of Scripture. [Ps. 119:73] This is best achieved by comparing relevant parts of Scripture with each other. Read with seriousness. [Deut. 32:47] The Christian life is to be taken seriously since it requires striving [Luke 13:24] and not falling short [Heb. 4:1]. Persevere in remembering what you read. [Ps. 119:52] Don't let it be stolen from you [Matt. 13:4,19]. If it doesn't stay in your memory it is unlikely to be much benefit to you. Meditate on what you read. [Ps. 119:15] The Hebrew word for meditate' means to be intense in the mind'. Meditation without reading is wrong and bound to err; reading without meditation is barren and fruitless. It means to stir the affections, to be warmed by the fire of meditation [Ps. 39:3]. Prize the Bible highly. [Ps. 119:72] It is your lifeline; you were born by it [James 1:18] you need to grow by it [1 Pet 2:2] [cf. Job 23:12]. 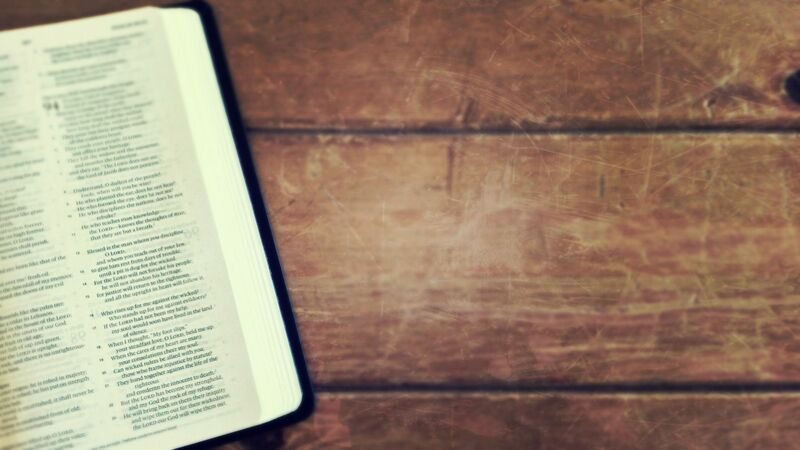 Love the Bible ardently [Ps. 119:159]. Come to read it with an honest heart. [Luke 8:15] (a) Willing to know the entire and complete will of God (b) reading in order to be changed and made better by it [John 17:17]. Apply to yourself everything that you read, take every word as spoken to yourself. Its condemnation of sins as the condemnation of your own sin; the duty that it requires as the duty God would require from you [2 Kings 22:11].